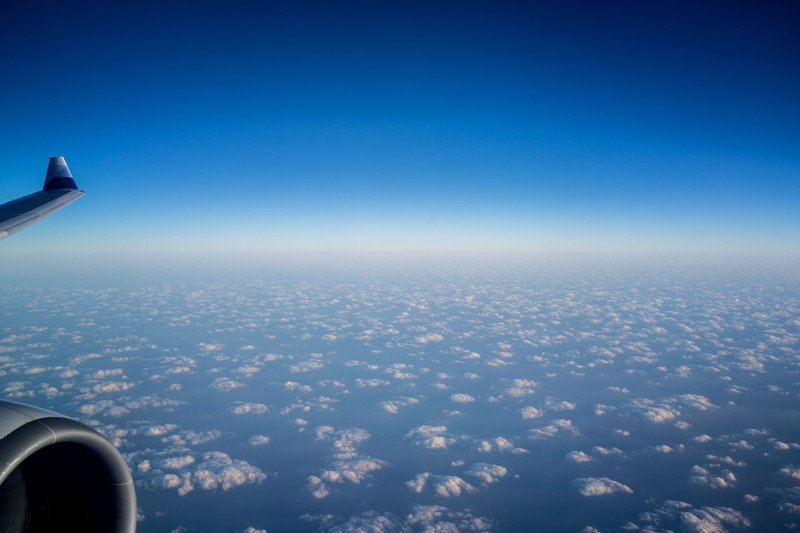 It doesn’t matter how old I am or how much I’ve flown, I still love grabbing the window seat on every flight, long or short. I’m sure there are others out there like me that not only stare out the window, but also enjoy grabbing a few shots. Going back through my catalogue of photos I’ve started pulling out photos taken through the window of the plane. There are photos from just about every phase of the flight from boarding, taxiing, take-off, cruise, final, short-final to landing. Here are a few to get things started. 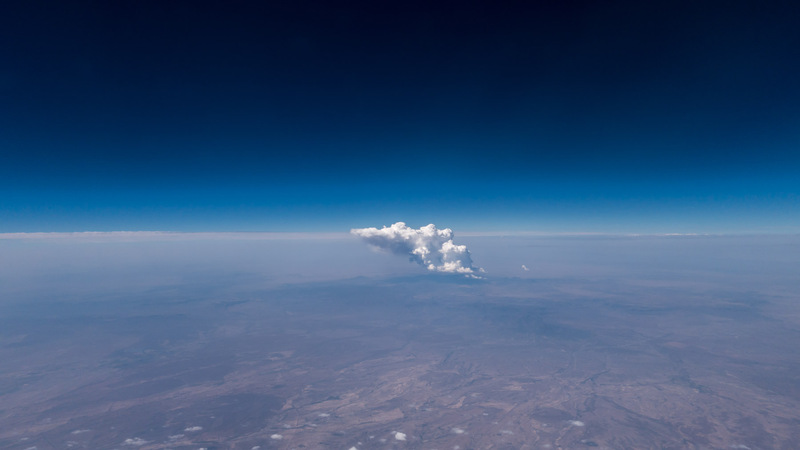 There’s something peaceful about looking out of an airplane window. 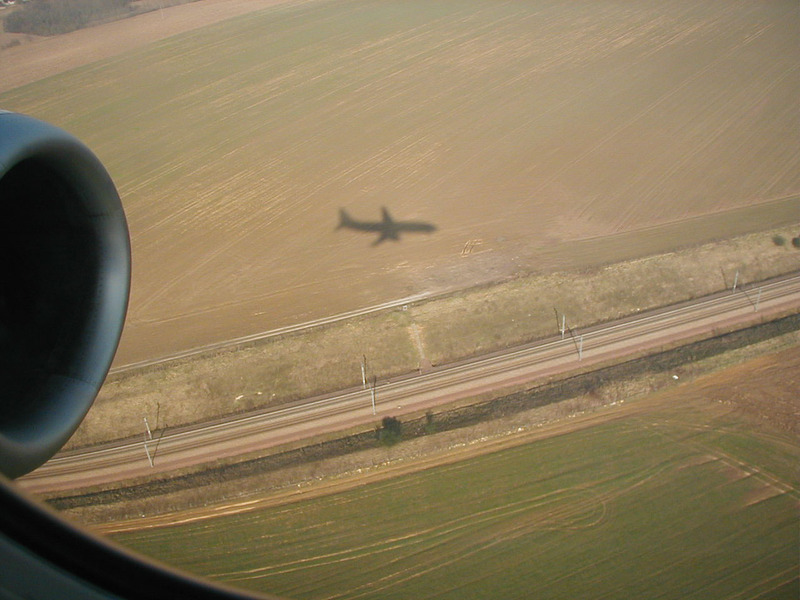 One of my favorites, taken on approach to Charles de Gaulle (CDG), Paris, France. This one is a little different and far, far from technically decent. 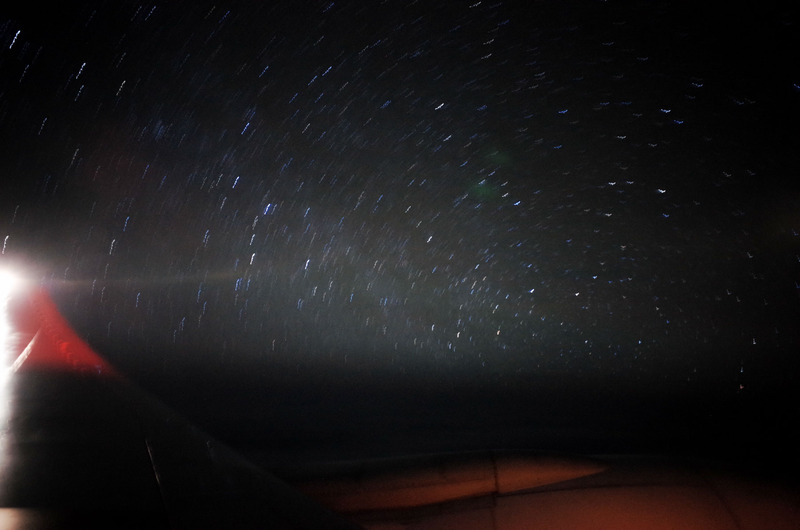 This is a one minute exposure from the window of a trans-Pacific flight. There is just the hint of star trails starting to appear. 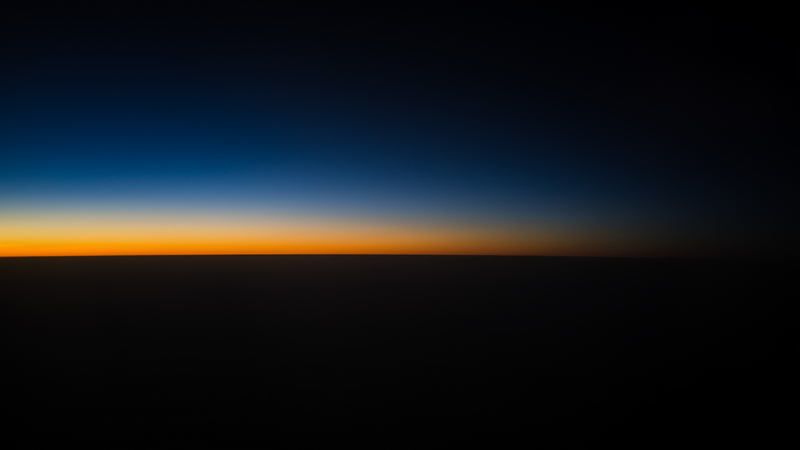 A pretty typical sunset/sunrise scene from cruising altitude. This one is quite memorable. Long story short, my wife and I were in the 2004 tsunami in Phuket, Thailand. 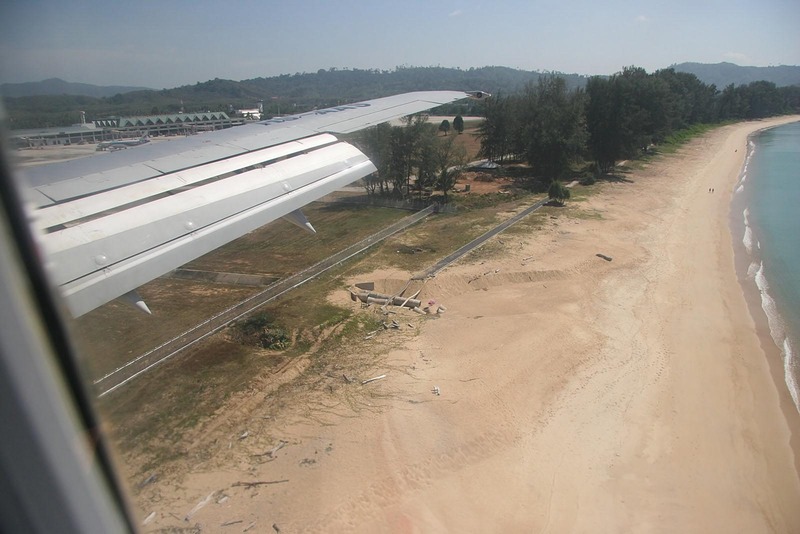 This was taken as we landed four days before the tsunami hit. We were stranded in Phuket for several days before flying back out of this (very different) airport. 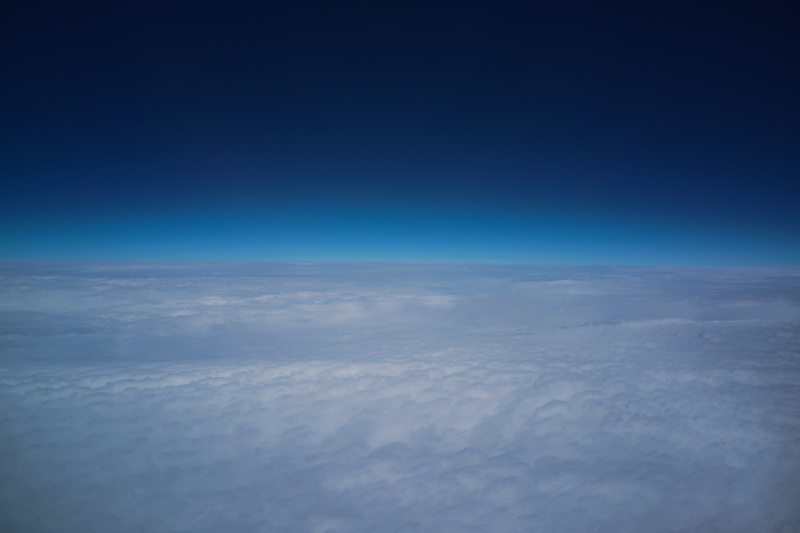 I believe this was taken somewhere over the great plains.